Not many workers can rack up almost two years of paid vacation time. Yet two California state officials have done just that and stand to cash out their vacation for hundreds of thousands of dollars when they quit or retire. They are the top vacation hoarders in a state bureaucracy with a lot of them. 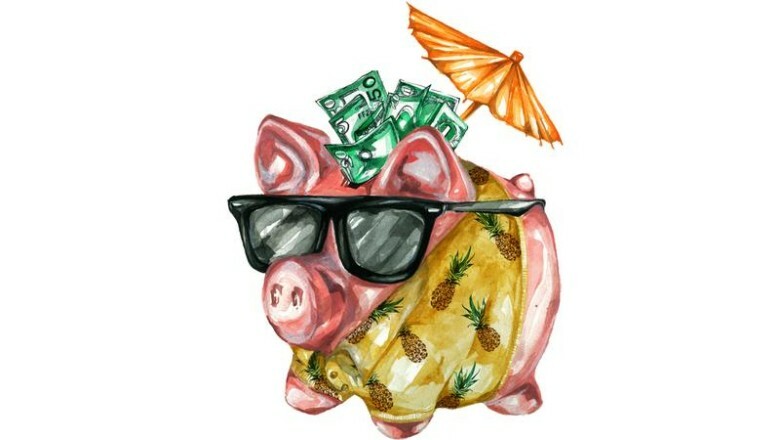 Tens of thousands of state employees have exceeded the official limit of 80 banked vacation days, leaving the state on the hook for hundreds of millions of dollars. What are the names of the workers at the top of the list? The State Controller’s Office, which collects the information and generally prides itself on transparency, wouldn’t say. Rick Chivaro, the controller’s top lawyer, said he considered the information confidential, even though his office routinely discloses salaries of state workers by name. It turns out that one of the two top vacation troves belongs to Chivaro himself. By June of last year, he had saved up 498 days of vacation, more than six times the limit. If he retired with that much time off, Chivaro could cash out $317,000 ­­– nearly two years of pay. The Center for Investigative Reporting was able to identify a few of the state’s biggest vacation misers by their pay rates and job titles, information provided by Chivaro in response to a public records request. John Chiang, California’s state controller until becoming state treasurer this month, would not disclose state employee leave balances by name. 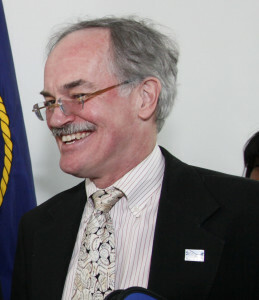 Chivaro actually is second on the list – the first is Bruce Wolfe, executive officer of the San Francisco Bay Regional Water Quality Control Board. As of June, Wolfe had 507 days of vacation stashed away. Wolfe and Chivaro lead a pack of more than 300 state employees who have amassed at least a full year of paid time off. California’s cap of 80 days –16 weeks – is among the more generous nationwide. And it’s a cap that pops off easily. Overall, more than 35,000 California state employees have gone over the limit – nearly 1 in 5 of those workers tracked by the controller’s office. The state’s permissiveness is pricey. California owes those employees $447 million more than it would if they had been held to the cap, according to CIR’s analysis of vacation time and annual leave, an alternative benefit that combines vacation and sick time. Workers across the country make do with a finite amount of vacation. Many companies, and some states, have use-it-or-lose-it policies that keep employees from carrying over endless amounts of vacation. In New York, for example, state workers can’t roll over more than 40 days and get paid out for up to 30 days if they quit or retire. At the stingy end of the spectrum, many employers don’t let workers save any unused time off at all, according to a survey by the Society for Human Resource Management. But in California government, the problem has simmered for years, despite audits and media reports raising alarm about excess vacation time. Chivaro didn’t respond to calls and emails asking about his paid leave. He’s worked for the state since 1972, and his “extreme commitment and service is widely respected,” according to an agency spokesman. 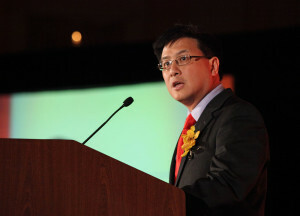 Last month, then-Controller John Chiang’s office provided a statement saying, “There is no more important value to the Controller than to make government more transparent and accountable.” Chiang was sworn in last Monday as state treasurer. Chivaro’s decision to withhold names had nothing to do with his own vacation balance, the statement said. “This is not a case of ‘won’t’ but of ‘can’t,’ ” it said. The state attorney general’s office, it said, determined that leave balances are personnel records that legally cannot be disclosed. The opportunity is there for the taking, said open government lawyer Terry Francke. State officials made a subjective interpretation of the law, he said, giving more weight to employee privacy than to public interest in vacation balances. “I think that’s of more public significance than just what (an employee’s) standard salary is,” he said. Two and a half years ago, the controller’s office criticized the California Lottery Commission for failing to enforce the state vacation cap among its employees. Yet the controller’s office employs 48 individuals with at least twice the maximum vacation days, the data shows. Seven of them, including its chief of human resources, had more vacation on the books than anyone at the Lottery Commission. She defended those with high balances as “dedicated public servants” but said she’d like to see legislative action to make the state cap enforceable. Back in 2000, the state auditor’s office chastised the Department of Corrections for shortsighted management of time off. “By allowing its custody staff to accumulate large balances of holiday, vacation, and annual leave, the department is faced with a huge and rapidly growing liability that will become increasingly expensive to liquidate,” the audit said. The manager responsible for that audit, Doug Cordiner, is now second in command at the auditor’s office. He’s personally accumulated 264 days of paid time off. Asked about his own record, Cordiner referred questions to the agency’s spokeswoman, Margarita Fernández. She noted that Cordiner has served in state government for more than 35 years. The heads of state agencies are responsible for enforcing the cap, said Pat McConahay, spokeswoman for the state human resources department. But that doesn’t mean they actually do. “Mostly, the departments we talked with just said it’s impossible,” said Marianne O’Malley, managing principal analyst with the Legislative Analyst’s Office, which released a report on the issue in 2013. Many state workers can’t leave their posts because they’re under pressure to get their jobs done, she said. Some departments, she added, operate 24-hour-a-day facilities like prisons and don’t have enough extra staff to fill in for employees on leave. Unpaid furloughs, imposed during tight budgets from 2009 to mid-2013, made the problem worse. Workers banked more vacation because they used furloughs for time off, the analyst’s report found. A strict use-it-or-lose-it policy would require legislation and probably would have to be negotiated with public employee unions, O’Malley said. Correctional officers pushed in the opposite direction, obtaining a contract in 2011 that allows them to carry over as much vacation as they want. The corrections department has more employees over 80 days than any other state agency, though none of those employees are in the top 10 vacation balances. Failing to enforce the limit presents another problem: California hasn’t set aside money to pay for all the unused vacation when employees cash out, O’Malley said. And those costs rise over time – an employee who starts earning vacation at an entry-level wage, for example, can cash out later at a much higher salary, increased through years of promotions. Last year, the state offered to buy back two and a half days of vacation from certain state workers. It was a start, but it barely made a dent in the large stashes of leave. Bruce Wolfe, executive officer of the San Francisco Bay Regional Water Quality Control Board, topped the list of vacation hoarders with 507 days. Wolfe seemed concerned about the cash value of his stockpile – $262,000 as of June – but not because he thought it was inappropriate. At the California Energy Commission, two staff members rank among the top 10 for leave balances statewide, each with more than 400 days. Executive Director Robert Oglesby wouldn’t divulge his employees’ vacation tallies by name, citing his staff’s privacy. He also declined to be interviewed. Oglesby’s own balance, however, is easily identified by his title. He had amassed 309 days of vacation as of June, nearly four times the state limit. He noted in a written statement that his balance, currently worth $159,000, accumulated during 24 consecutive years in state service. The bloated balances in his department resulted not just from furloughs and hiring freezes, but also because dedicated employees work hard to meet deadlines, Oglesby said in a statement. Mary Khoshmashrab remembers flagging the high balances soon after Oglesby hired her in 2013 to be the commission’s top auditor, leading a new audit and investigation unit, she said. She brought the problem to commission leadership but she said they weren’t interested. Commission officials didn’t closely monitor leave time, opening the possibility that staff could cheat by taking vacation off the books, Khoshmashrab said. She warned her bosses and planned a deeper audit but became incensed when they told her to drop the issue, she said. The energy commission disputes her account. A statement provided by spokeswoman Lori Sinsley said that supervisors do review time sheets and that Khoshmashrab was not prevented from looking into it further. “We recognize the importance of managing leave balances, but strive to balance staff leave with the need to accomplish our public service mission,” the statement said. It still bothers Khoshmashrab that officials are able to cash out vacation time at a much higher rate of pay than when they earned it. Tensions built over this and many other concerns Khoshmashrab brought forward, she said, leading the agency to remove her from the post last year. She briefly returned to a previous position, but then decided to resign from state service after 18 years, she said. Commission officials said they would not discuss personnel issues. Oglesby said his agency has encouraged employees to take time off. His personnel manager sent a memo last January reminding supervisors of the 80-day cap. It said employees over the limit had to submit a plan to reduce their hours. The commission is in the process of checking to see whether those plans are in place. Tension over high time-off balances Bruce Wolfe, executive officer of the San Francisco Bay Regional Water Quality Control Board, topped the list of vacation hoarders with 507 days.